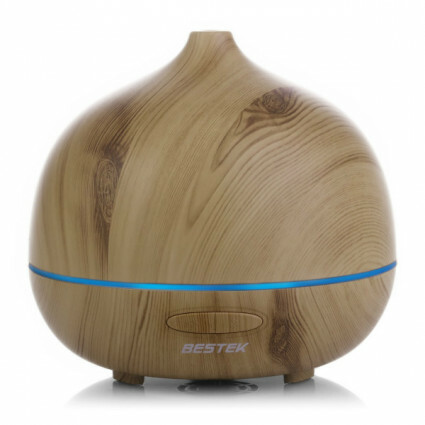 BESTKE wood grain oil diffuser humidifier is unique and elegant, not only can release cool mist to refresh room air, but also decorate your room. The 7 changing colors can fit for different occasions and moods. You can choose mist mode freely as you like with two adjustable mist mode types. The essential oil diffuser is perfect for cheering up spirits and home decoration. The aroma diffuser is coated with wood grain, unique and elegant, also a good home decoration to make room sweeter. The diffuser has two adjustable mist types; you can freely choose the mode as you like. The aromatherapy cool mist can effectively refresh the room air to remove bad smells, and cheer you up to release bad mood.